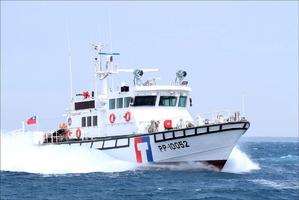 The 34-meter vessels will be built at CSBC's facility in Keelung, Taiwan. Featuring dual MJP stainless steel 750 DRB waterjets, the vessels are predicted to exceed 30 knots and will be powered by MTU inboard diesel engines. Selected for its superior quality and durability in the field, MJP's DRB line of waterjets are constructed from duplex stainless-steel and feature all inboard hydraulics. The mixed flow pump design offers high performance and increased operational efficiencies resulting in lower maintenance cost and minimal service intervals.